A long-established tendency among U.S. mainline Protestant denominations to “blindly accept and repeat the Palestinian narrative” is ultimately responsible for the fabricated claims of Israeli human rights abuse made by a Massachusetts Episcopalian bishop that resulted in her apologizing over the weekend, a veteran US Jewish leader said on Tuesday. 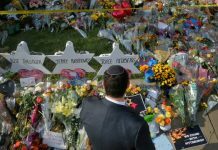 “Over more than a decade, we’ve seen attempts by mainline groups to adopt BDS resolutions and other one-sided resolutions,” Daniel Mariaschin — the Washington, DC-based CEO of B’nai B’rith International — told The Algemeiner in an interview. Bishop Gayle Harris, who serves as a suffragan (assisting) bishop in the Massachusetts diocese, falsely told the Episcopal Church’s House of Bishops in a July 3 speech that Israeli troops had carried out a gruesome execution of a Palestinian teenage boy. In the same speech, she also claimed — again without any citation — that a three-year old Palestinian child in eastern Jerusalem was handcuffed by the IDF after his rubber ball accidentally bounced onto the Western Wall Plaza, where thousands of Jews worship daily. “If it took her diocese to explain this and she still doesn’t get it, then there is a problem there as well,” he added. 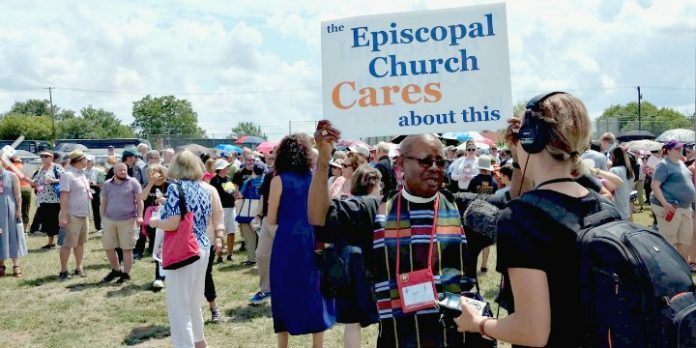 A total of eight resolutions attacking Israel were tabled at the 79th General Convention of the Episcopal Church in early July, where Harris made her comments. In one resolution on Israeli-Palestinian negotiations adopted by the convention, the prospect of a so-called “one-state solution” — whereby Israel would cease to exist as a Jewish and democratic state — was raised as a serious option. Efforts to resolve the conflict “may encompass other solutions such as one binational state or confederation, recognizing that these possibilities are being raised as the material conditions for a two-state solution have deteriorated due to accelerated [Israeli] settlement expansion in East Jerusalem and the West Bank since the Oslo Accords [the Israeli-Palestinian agreement of 1993] were signed,” the resolution argued.